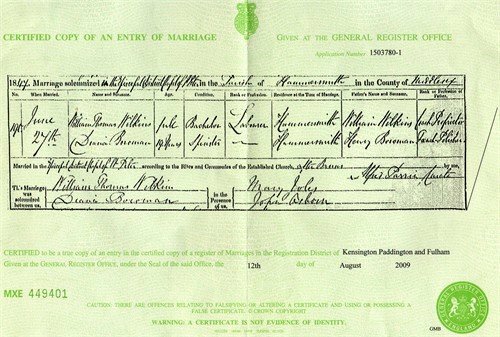 Diana's surname is recorded as Boroman on the marriage certificate. Also her father is recorded as Henry rather than William. 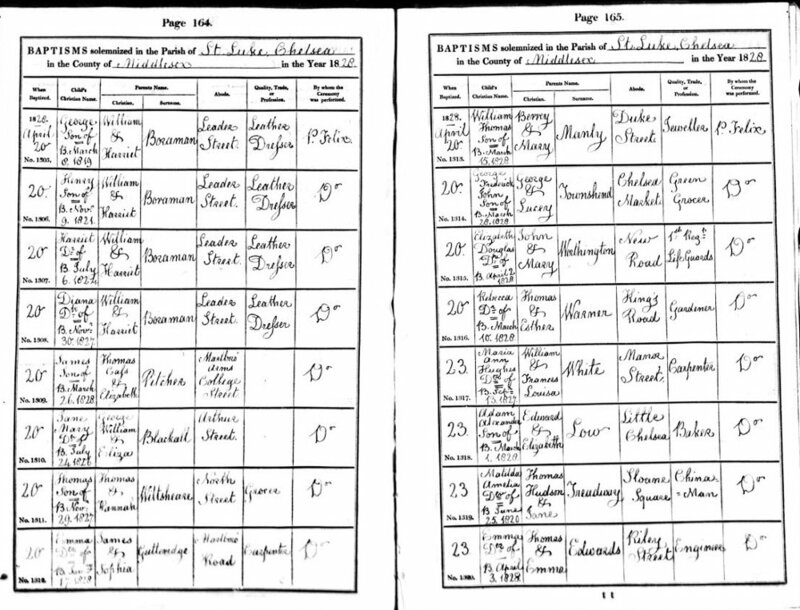 It is possible that her brother Henry brought her up as her mother died 8 days after birth and her father William died when Diana was 16 months old.